Henry H. Knight III, F. Douglas Powe Jr. 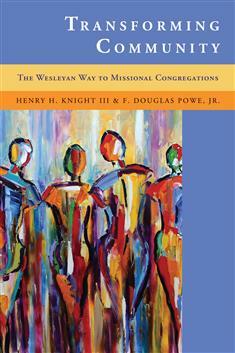 Drawing from the strength of their previous book, Transforming Evangelism, Henry Knight and Douglas Powe show us a Wesleyan way to form missional communities and congregations. Drawing from John Wesley's own organizing abilities, this will better equip today's congregations to be more transfomational. Each chapter also has study questions. This is the Participant's Book. Click here for the Leader's Guide, Leading Missional Small Groups.